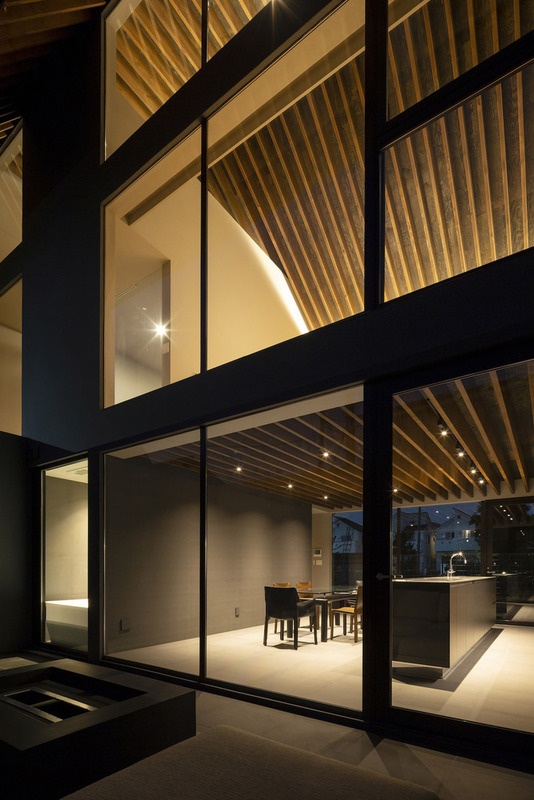 The Cover House is a super clever house located in a high-density residential district in Tokyo’s suburbs. 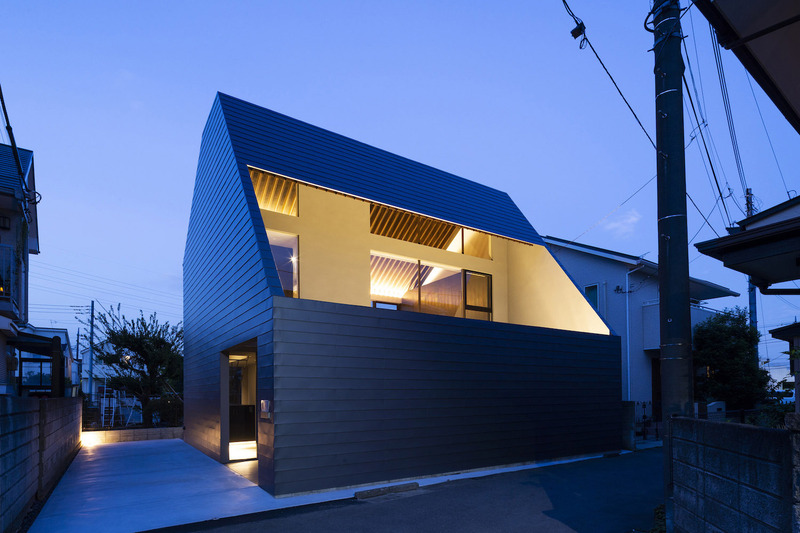 The roof and exterior walls are constructed from metallic grey Galvalume which both forms a structural skin and protects the privacy of the residents by shielding the first floor from visibility from the street. 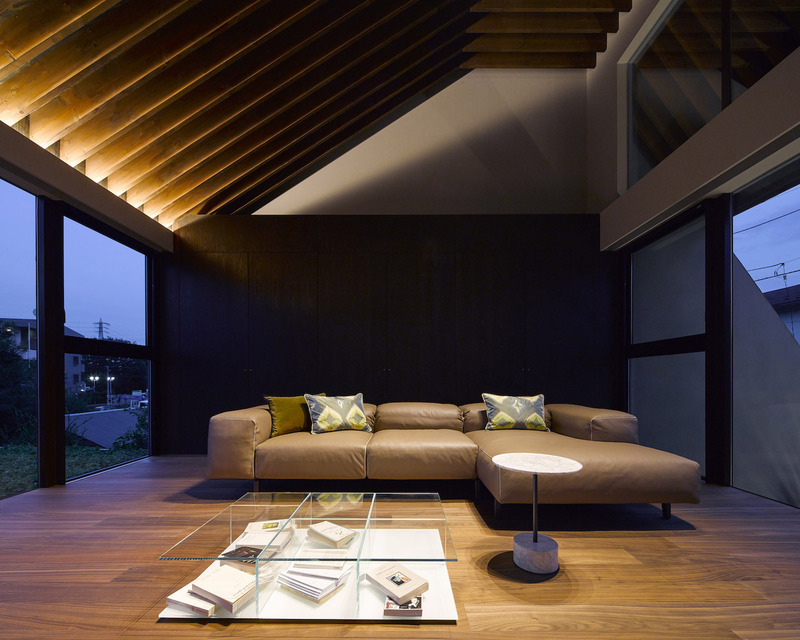 A large opening in the roof brings in abundant natural light and makes the compact space feel more expansive. 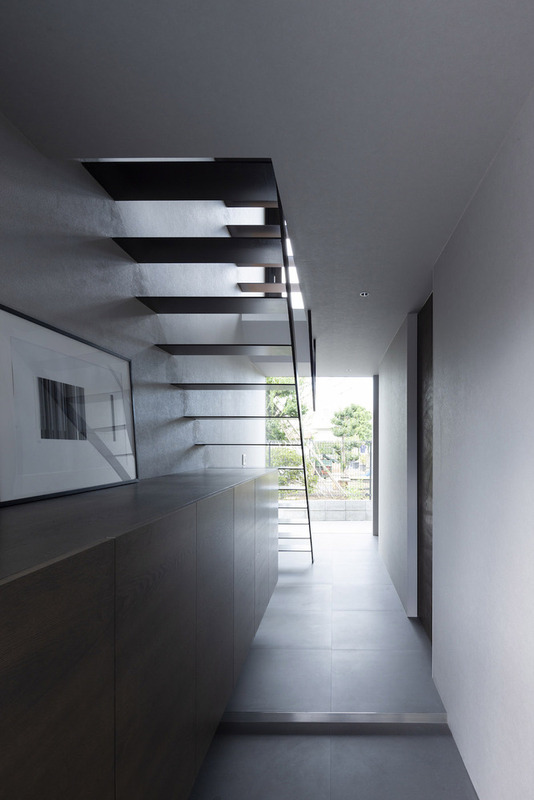 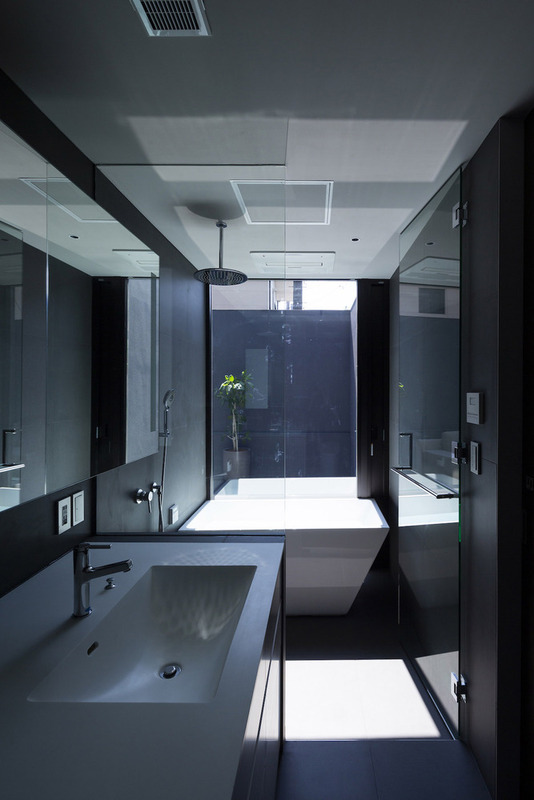 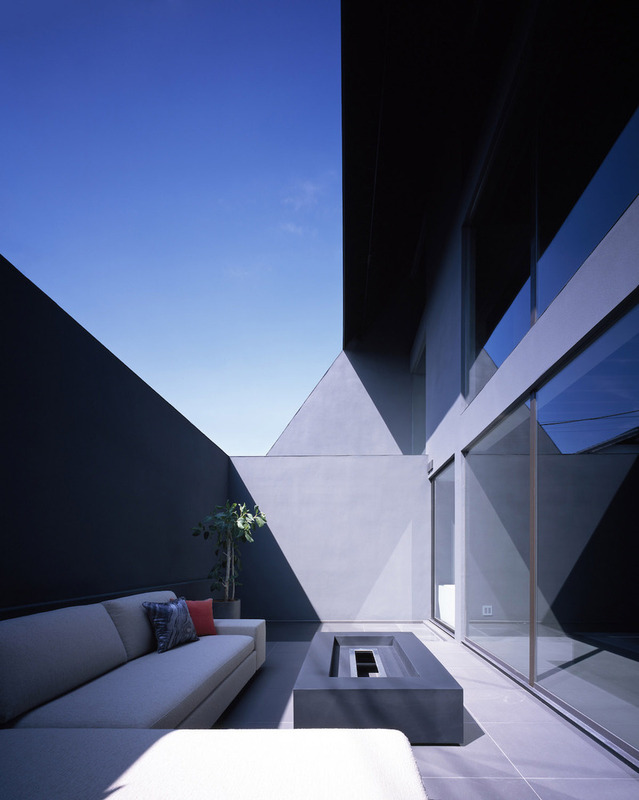 Designed by APOLLO Architects & Associates, the first-floor entrance offers a view between the staircase and the bathroom clear to the back of the property. 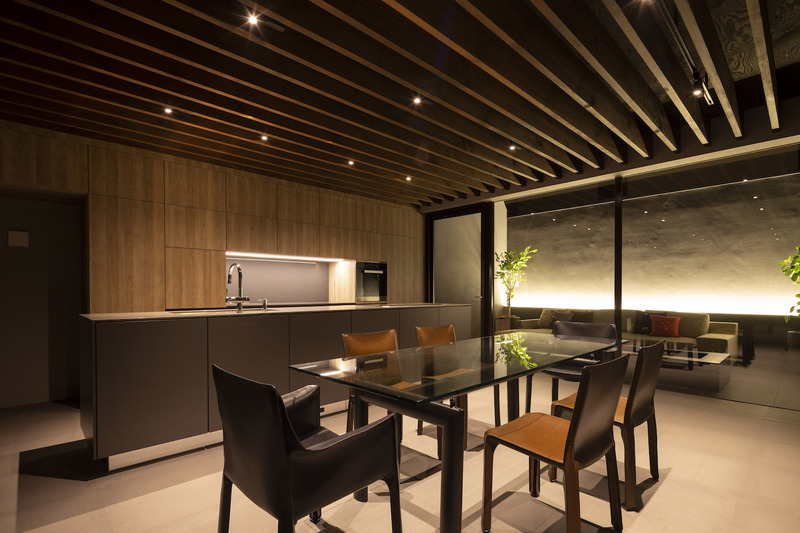 The “public dining room,” an extension of the entryway, serves not only as the family eating area but also as a guest room for entertaining. 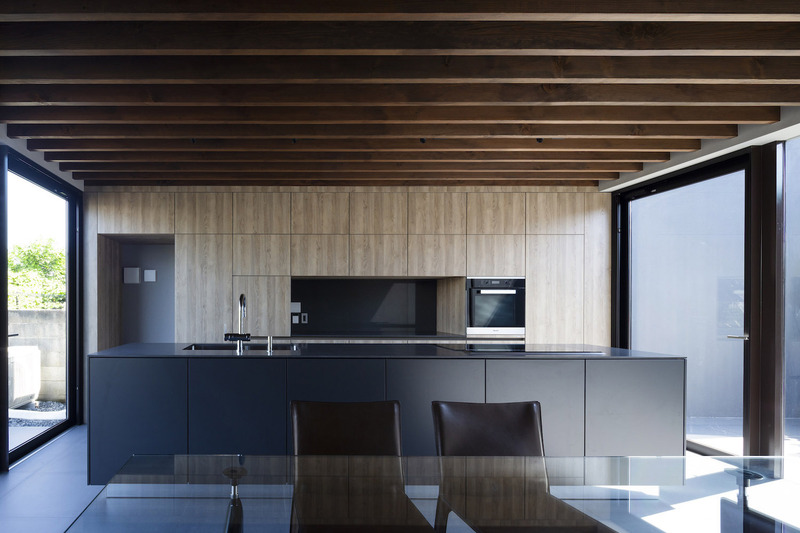 An island kitchen blends form and function, evoking a bistro atmosphere. 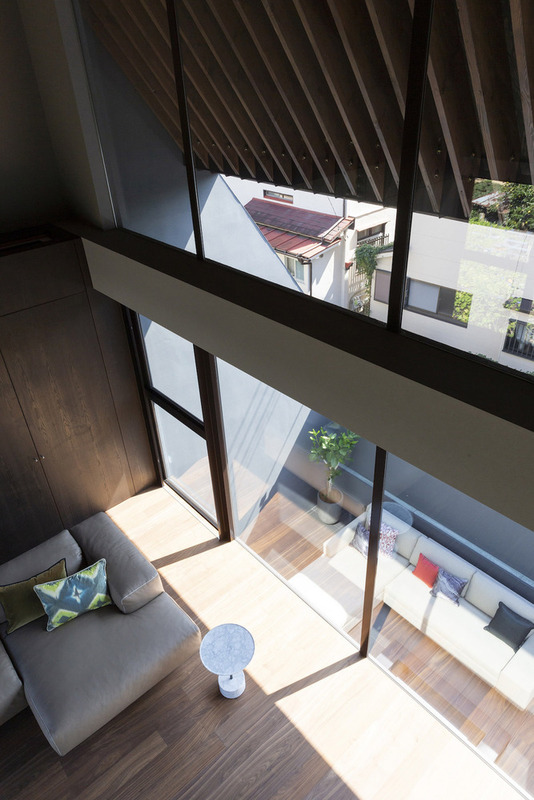 Through a glass door and floor-to-ceiling windows, a terrace equipped with an outdoor sofa and other features serves as an exterior living room perfect for parties in privacy and a peaceful mood, it’s hard to believe the street is just on the other side of the wall. 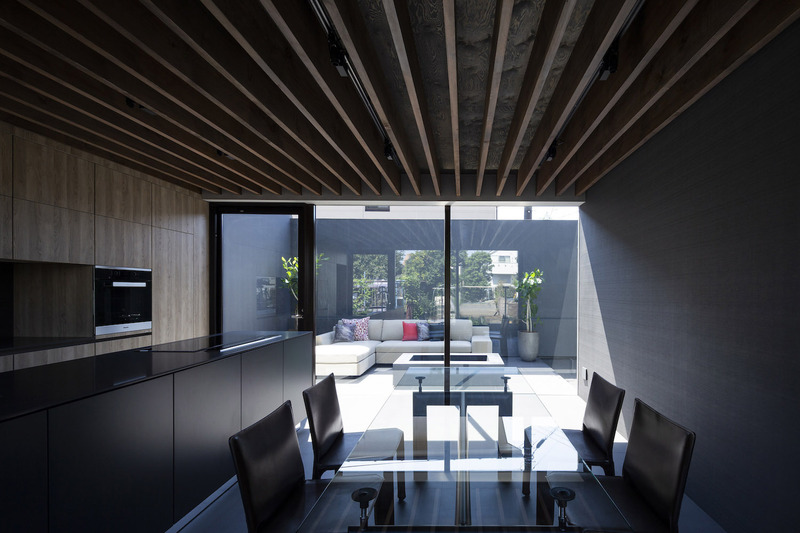 The second floor is integrated with a loft and large void, forming a living area that takes advantage of the high ceilings. 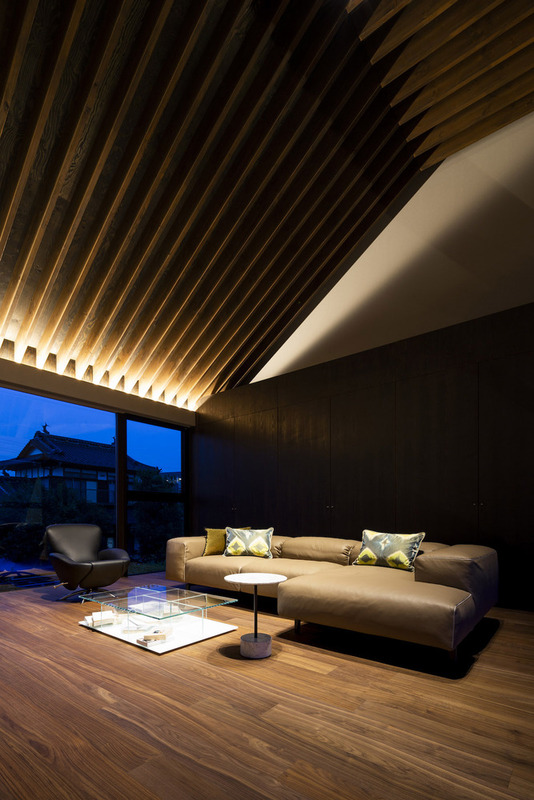 The inter-connectivity of the exposed rafters and eaves opens up the space, while at night, soft indirect lighting envelopes it in a dream-like atmosphere.